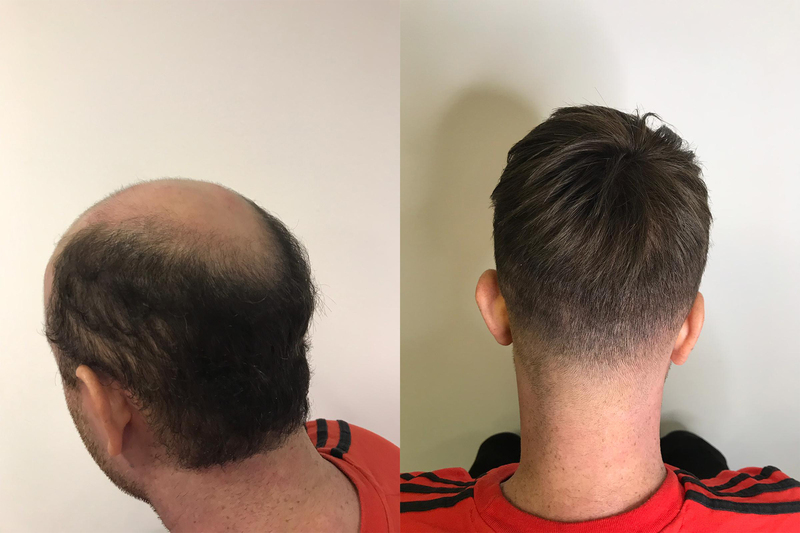 Male pattern baldness is widely thought to be genetically determined, commonly occurring amongst men between the ages of 25 and 35. But for some, hair loss can start in adolescence leaving an individual the confidence nobody deserves. We have a solution that does not work on painful, expensive surgery, or break the bank. Which is where our hair replacement systems Milton Keynes can help. We use premium quality products to ensure there are no harsh side effects. 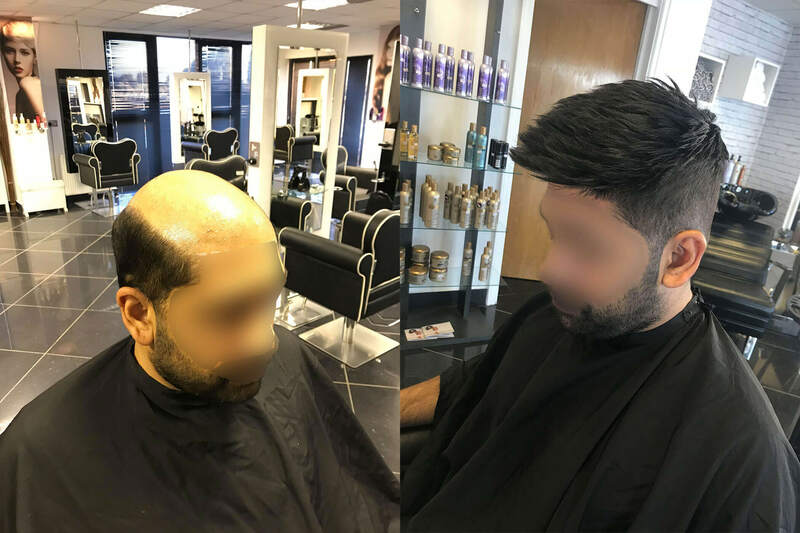 Our unique hair loss systems Milton Keynes are individually handcrafted and designed to fit you. They are the most natural non-surgical solution for a full head of hair. They can be cut, styled, coloured/highlighted to your preference. Being cost effective with amazing results, we blend to create a seamless flow between the system and your own hair. 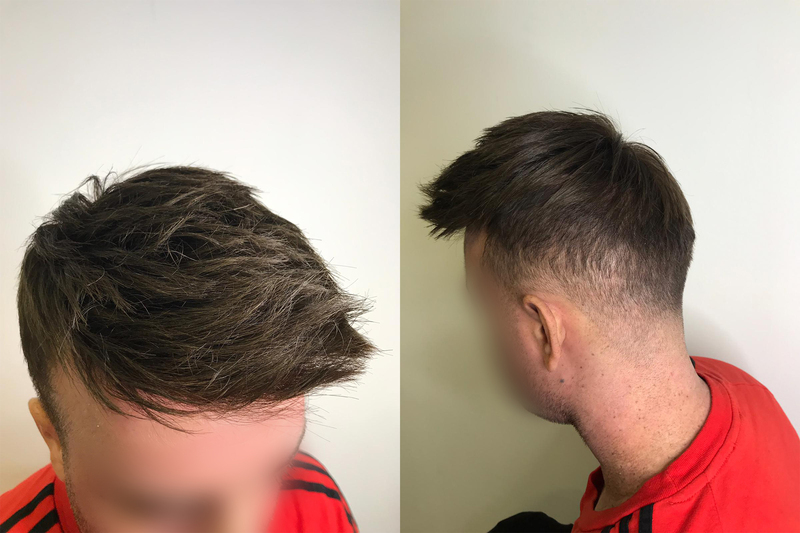 The hair replacement systems Milton Keynes are made up of either a breathable medical grade mesh (Lace) allowing air to get to the scalp which is breathable and more natural. Or a Poly will provide you far more durability and can handle a much heavier density (more/thicker hair). 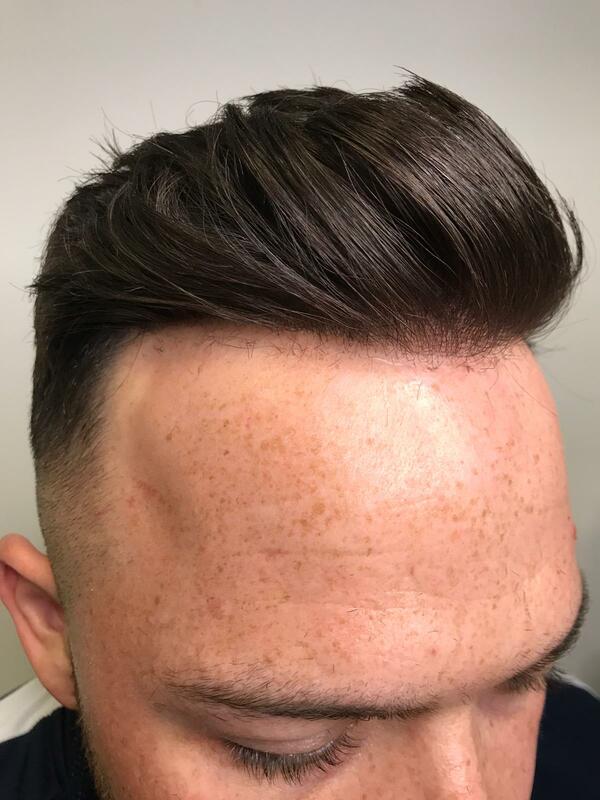 The skin system being micro thin from just 0.02mm to 0.04mm, giving you a natural realistic hairline. So natural you don’t even realise it’s on your head, the artificial skin feels so natural that even a touch to the scalp can feel sensitive. 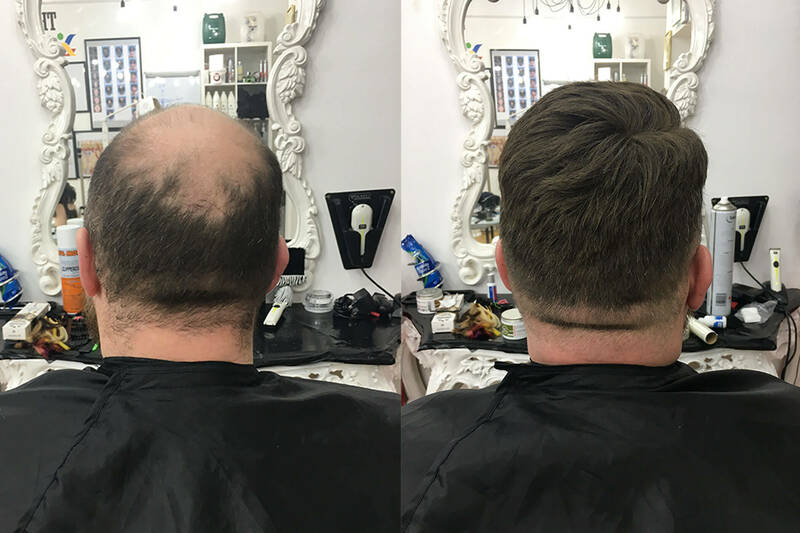 Our hair loss systems Milton Keynes allow you to do any activity you like. It’s undetectable, easy to care for and measures up to your lifestyle 24 hours a day. 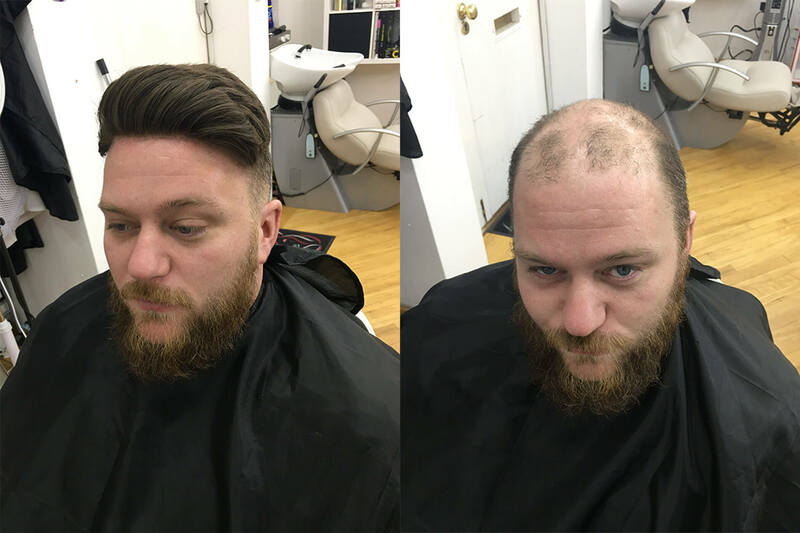 Our men’s replacement systems cover the 3 main areas of recession, the front, main hairline, the scalp and the crown. 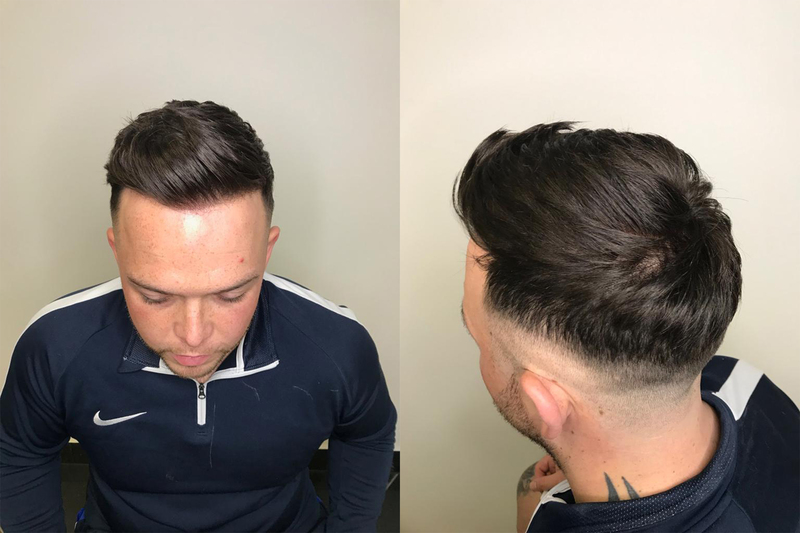 Made using the highest quality human hair the systems can be styled coloured and highlighted, allowing you the versatility to wear your hair any way you wish, from having a long wavy movement, swept back or even a big quiff, It’s entirely up to you! Specialist blending techniques are used to create a seamless flow from hair system to your natural hair. Visit us for a free consultation where we discuss, customise and order your bespoke system. With compassionate customer service, we make your visit to the salon as sensitive as possible you and will honour any discretion you require. We recommend to our clients to have maintenance every 4-6 weeks. This will keep your hair replacement system in good condition, and will include a hair cut for just £50. Introductory offer, limited time only. From* £485. Affordable and convenient hair replacement solutions that work. When you visit Nuda, you can feel confident and assured that our staff are experienced and always try to go above and beyond to meet your needs. After using our hair replacement systems, our clients are always satisfied with their natural appearance and say they would recommend us. 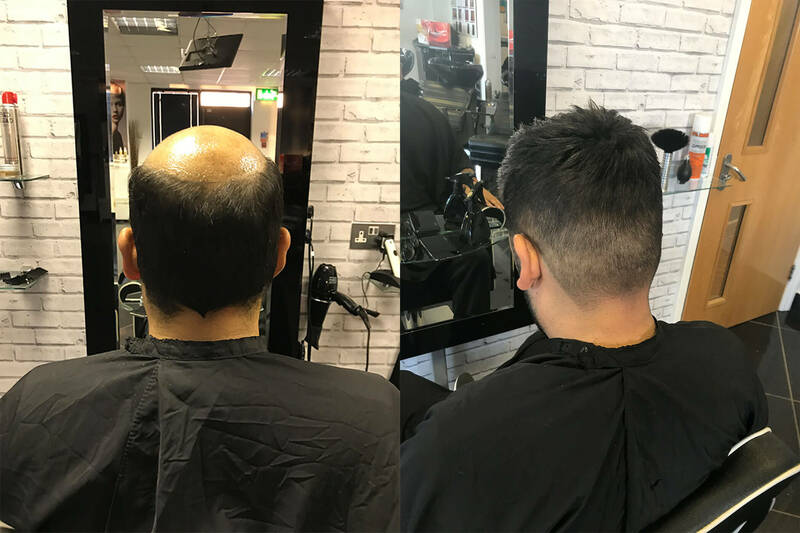 As your local leading hair salon, it is easy for you to pop in for a free consultation and discuss our hair replacement systems with a member of our team.